The rise of crowdsourcing has made it easier for businesses to find ideas and content, but in order to be effective, it needs to be powered by a platform suited to the job. AudioDraft is a Finnish startup that offers a platform for anyone to crowdsource music from talented composers and sound designers. The service was used by Nokia to find a new version of its iconic ringtone to ship with new devices. The resulting dubstep rendition may not have pleased everyone, but with over 6,000 submissions in four weeks, Nokia certainly had a lot to choose from. 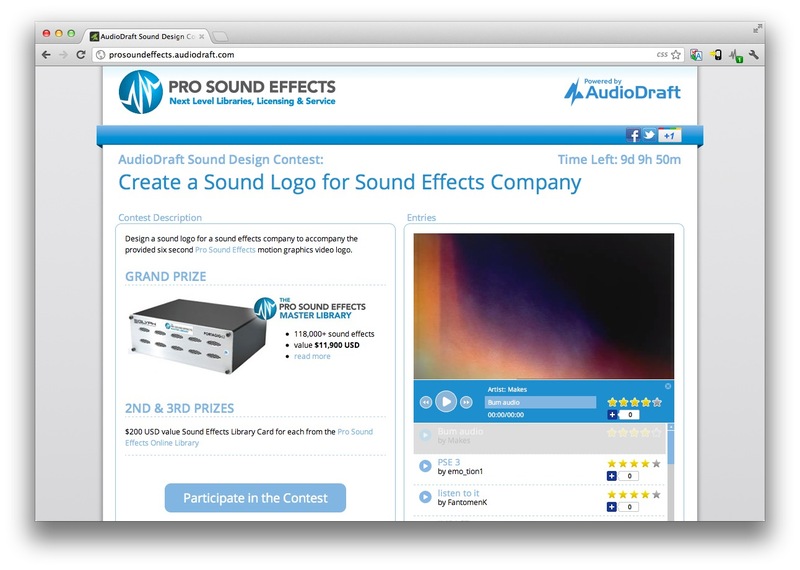 Founded in spring 2010 by a group of four friends with backgrounds in music-making, AudioDraft lets users specify a design brief and set a cash prize amount for the winner. The startup charges a $99 listing fee for each contest, and takes 10% of the prize fee when the winner is chosen. A recently added video player feature is designed to be used where music is needed to fit a specific sequence of visuals. It allows participants to listen to each submission in sync with the video it’s designed for. Currently backed by Finnish investors, and with Rovio’s ‘Mighty Eagle’, Peter Vesterbacka on its advisory board, AudioDraft has now opened a San Francisco office. Expanding on its core concept, AudioDraft plans to launch a store for exclusive music, currently in private beta, in the next few months. Each piece of music will only be sold once, making it perfect for businesses and others looking for unique audio-branding. Meanwhile, the startup is set to close a new round of financing soon.